Naperville, IL, August 13, 2018 – TREE Fund has awarded over $260,000 for urban tree research and education in its spring 2018 grant-making season. With these new awards, the 501(c)3 charity has provided over $3.6 million in grants and scholarships since its inception in 2002. 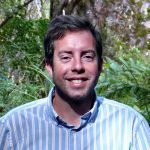 Andrew Hirons, PhD (Myerscough College, UK) and Co-Investigator Henrik Sjöman, PhD (Swedish University of Agricultural Sciences, Sweden) aim to improve tree selection for stormwater management schemes and sites prone to waterlogging. In the study, “Enhancing the performance of urban storm water management schemes with tree selection: developing a new approach to accessing waterlogging tolerance in temperate trees,” Drs. Hirons and Sjöman will look at trees’ decline in sapflow under waterlogging and use this to quantitatively evaluate waterlogging tolerance. Data will be collected on the species’ drought tolerance as well. This combination of data will provide guidance on which species will perform best in these situations. 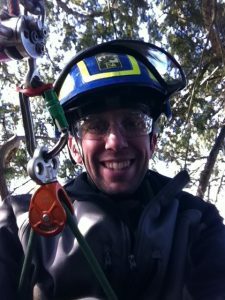 Alexander Laver (Tree Logic, working with Coventry University, UK) will use motion capture equipment to map the movements of a tree climber within the canopy of a tree. “Optimised techniques for arboreal activities” will then analyze the effect of different climbing methods on the climber’s body. The goal of this project is to be able to recommend best climbing methods that can keep climbers fit and healthy for a full and long career. John Goodfellow (Bio-Compliance Consulting, Inc.) will supplement his previous work on constructing an economic business case for Integrated Vegetation Management (IVM) on electric transmission rights-of-way (ROW) in this new study called, “The cost-effectiveness of integrated vegetation management.” This project will consider the many benefits of IVM, and will result in a more holistic assessment that includes both economic considerations and environmental externalities associated with IVM. The project will also include application of IVM methods on pipeline ROW. The goal is to produce a reference that will be useful to practitioners in selecting the least-costly and most beneficial ROW vegetation management techniques from a longer-term perspective of sustainability. 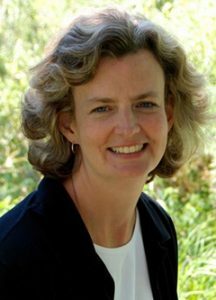 Carolyn G. Mahan, PhD (Penn State Altoona) seeks to evaluate floral and faunal response to right-of-way management at three sites in Pennsylvania, including State Game Lands 33. “Long term effects of electrical right-of-way vegetation management on floral and faunal communities” will be conducted cooperation with the Center for Pollinator Research and the Frost Entomological Museum at Penn State University. Note: This project is sponsored by Asplundh Tree Experts, LLC; Corteva Agriscience, Agriculture Division of DowDuPont; FirstEnergy Corp; and PECO Energy Company (an Exelon Company). Tree Care Industry Association Foundation (Londonderry, NH) – This grant supports the Arborist Safety Training Institute that brings high quality, local, and affordable safety training to working arborists. ASTI provides grants for job and safety training to minimize injury and promote overall workforce safety. 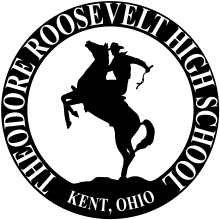 Kent Roosevelt High School Forestry and Landscape Management Program (Kent, OH) – “Setting Young People Up for a Future in Arboriculture” is a program for high school students interested in tree care. With this grant, the school can provide students with updated climbing gear for an enhanced learning experience. Tree Research and Education Endowment (TREE) Fund is a 501(c)3 charity dedicated to the discovery and international dissemination of new knowledge in urban forestry and arboriculture (the science of caring for trees in a landscape). 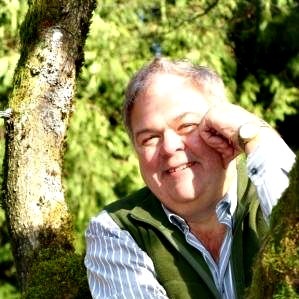 TREE Fund awards scholarships and education grants to engage and support the next generation of tree stewards, and multiple research grants to improve the science, safety and practice of arboriculture.